Rose Howard is obsessed with homonyms. She's thrilled that her own name is a homonym, and she purposely gave her dog Rain a name with two homonyms (Reign, Rein), which, according to Rose's rules of homonyms, is very special. Not everyone understands Rose's obsessions, her rules, and the other things that make her different – not her teachers, not other kids, and not her single father. When a storm hits their rural town, rivers overflow, the roads are flooded, and Rain goes missing. Rose's father shouldn't have let Rain out. Now Rose has to find her dog, even if it means leaving her routines and safe places to search. Rose Howard is a 5th grader, obsessed with homonyms -- words that sound the same but spelled differently. She also has Asperger's Syndrome. She hates when people don't follow the rules, especially when it comes to laws of traffic and grammar. When she's scared or anxious, she rattles off lists of prime numbers. With her mom not in the picture, Rose lives with her father while her Uncle Weldon lives just right down the road, serving as a sort of surrogate father to Rose when her father is going through one of his "not emotionally available" periods. One rainy night, Rose is surprised with her father coming home with a dog in his arms -- a yellow lab / mutt mix -- claiming it was stray he found that he thought Rose might like. Rose immediately bonds with the dog and, a nod to her love of homonyms, names him Rain (Rein, Reign). Rose struggles with creating or maintaining human friendships, so the pup becomes some much welcome companionship for her. That is, until the night of a hurricane when everything changes. Rose and Rain, though spooked by the storm, eventually doze off that night. Rose wakes to find Rain gone. When she asks her father about it, he tells her he let the dog out briefly during the night but he thinks maybe Rain got too close to a nearby creek, so they'd have to wait for Rain to find his way back home. Days go by, Rose starts to go mad with worry, so with the help of her uncle sets out to find out what happened to her dog. After many days of calling and asking around, she eventually tracks down Rain but reuniting with the dog also ends up revealing a secret about the dog's past, a secret that will force Rose to make one of the most difficult decisions of her young life. 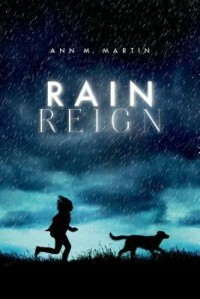 According to author Ann Martin, Rain Reign was loosely inspired with Martin's own experiences witnessing the aftermath of Hurricane Irene in 2011. Walking through the areas of destruction, Martin couldn't help but wonder and worry over all the pets that must have become displaced by the storm. Those thoughts inspired her to craft this story. I was a little surprised in the shift in personality with Rose's father. In the beginning of the story he seemed like a good guy who was just a little stressed trying to raise a daughter with a learning disability virtually on his own. But as the story progressed, he just got meaner and meaner til one pivotal, dark scene that actually proved to be a bit triggering for me in its brief violence. Because of that, I was REALLY surprised at his behavior at the end. Would not have guessed him to do that, but I did find it a little touching. Sad, but touching, in a way. I found myself rooting for Uncle Weldon to hopefully be given the opportunity to take over the care of Rose because he seemed to just naturally sense the perfect way to communicate with her and was so sweet and patient with any request or concern she came to him with, a stark contrast to her father growing progressively more dark-spirited as the novel went on. This story had its touching and painful moments yet I still feel like it fell short of being really great. It was almost there but there was just a little something I can't quite place that held it back, just shy of amazing. 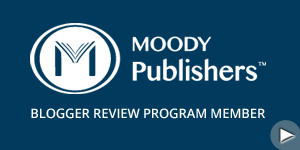 POTENTIAL TRIGGER WARNING: This novel has brief scenes of suggested child abuse.